2018 Toyota Yaris iA Frost Odometer is 21688 miles below market average! 32/40 City/Highway MPG At KC Summers, We're Family! 2018 Toyota Prius c Tangerine Accident Free Auto Check History!, Hybrid, Bluetooth, Proximity Key w/ Push-Button Start, Lane Departure Warning, Radar Cruise Control, Collision Detection/Avoidance System, Rear Cross Traffic Alert, KC Summers Certified!, One Owner!, Auto High Beams!, ABS brakes, Alloy wheels, Electronic Stability Control, Illuminated entry, Low tire pressure warning, Remote keyless entry, Traction control. Odometer is 3942 miles below market average! 48/43 City/Highway MPG At KC Summers, We're Family! 2015 Toyota Avalon Creme Brulee Mica Accident Free Auto Check History!, Navigation, Backup Camera, Sunroof, Leather, Bluetooth, Blindspot Detection, Proximity Key w/ Push-Button Start, Power Seats, Heated Seats, KC Summers Certified!, One Owner!, Blind spot sensor: warning, Integrated Backup Camera Display w/Projected Path, Navigation System, Power moonroof, Radio: Entune Premium Audio w/Navigation/App Suite. Odometer is 9619 miles below market average! 21/31 City/Highway MPG At KC Summers, We're Family! 2018 Toyota Camry Celestial Silver Metallic Odometer is 30517 miles below market average! 28/39 City/Highway MPG At KC Summers, We're Family! 2014 Toyota 4Runner Silver 17" x 7.5" Unique Off-Road Alloy Wheels, ABS brakes, Body Color Heated Mirrors, Compass, Electronic Stability Control, Heated door mirrors, Heated Front Bucket Seats, Heated front seats, Illuminated entry, Low tire pressure warning, Power moonroof, Power Tilt & Slide Moonroof w/Sunshade, Remote keyless entry, Traction control. Odometer is 21492 miles below market average! 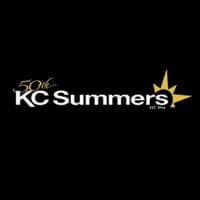 Awards: * 2014 KBB.com Best Resale Value Awards At KC Summers, We're Family!